A river in New Zealand has been given the legal status of a person in what is understood to be the first of its kind in the world. 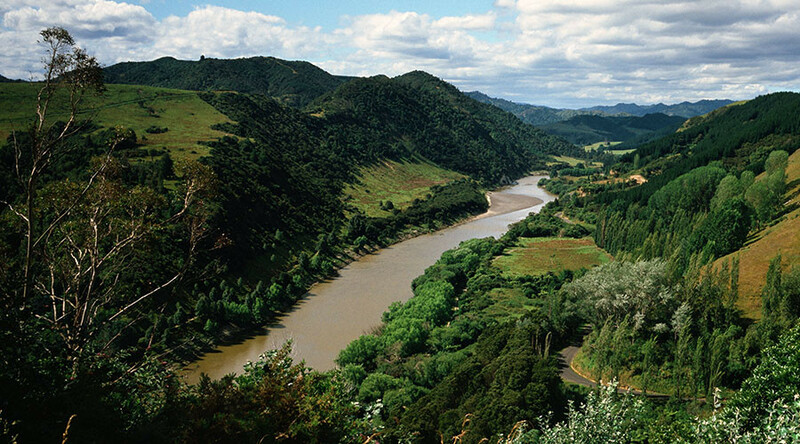 The Whanganui River, considered sacred and spiritually important for by the native Maori, has been recognized as a living entity with the same rights, values and legal status as a person. The bill to grant special rights to the river was passed in New Zealand's parliament on Tuesday. The river, the third longest in NZ, is located on the north island of the Southwest Pacific country. Parliament passed the treaty settlement bill which now means the river can be legally represented by humans, one from the Maori community and one from the Crown. The country’s Maori community, known as the Whanganui Iwi, believe that the river is part of the living mountains and the sea. They have been fighting for recognition of the special relationship between its people and the river for almost 150 years. So cool to be in the House for the final reading of the bill that gives the Whanganui River legal personhood. A good day in politics. Speaking in parliament, Treaty Negotiations Minister Chris Finlayson said "I know the initial inclination of some people will say it's pretty strange to give a natural resource a legal personality,” the Wanganui Chronicle reports. "But it's no stranger than family trusts, or companies or incorporated societies," he added. Labour MP Adrian Rurawhe added that in the region, the wellbeing of the river is directly related to the wellbeing of the people and that it was not unusual for the Maori to treat the river as a person. The concept is best captured in the well-known Maori saying "I am the river and the river is me." The passing of this bill ends the longest litigation in the country's history. It includes an $80 million financial redress and an additional $1 million for establishing the river’s legal framework with the Crown also contributing $30 million to a fund looking after the health of the river.